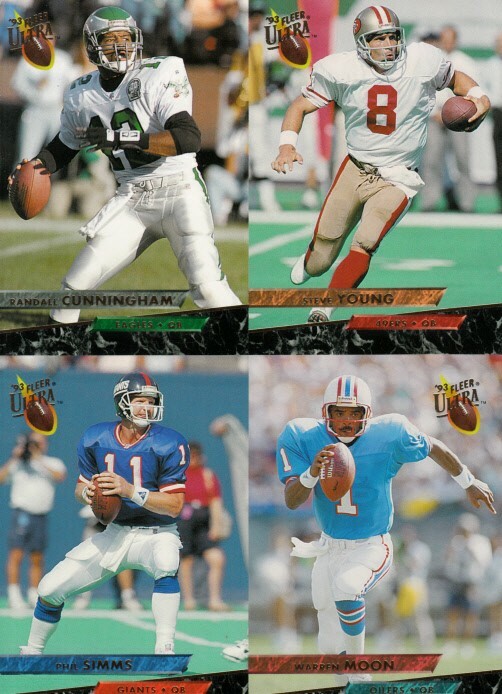 1994 Fleer Ultra football uncut promo panel of 4 cards: Randall Cunningham, Warren Moon, Phil Simms and Steve Young. Has minor corner wear. ONLY ONE AVAILABLE FOR SALE.